Who Needs Horizontal Boring Equipment? | Little Beaver, Inc.
From landscape lighting installation to irrigation system maintenance, horizontal boring is highly valuable for keeping projects going when up against pavement. As a result, many landscaping professionals and homeowners find a fast return on investment in horizontal boring equipment. But others fail to realize the benefits due to misconceptions that boring machines are too expensive to rent or purchase or are limited in use. The applications for boring equipment in landscaping are actually quite diverse. Horizontal boring is highly valuable for every job from landscape lighting line installation to irrigation system maintenance. And whether it’s contractors with their own equipment or rental centers serving landscapers, homeowners and do-it-yourselfers, most already have machines that can pair with boring attachments and accessories, maximizing their fleet efficiency with multi-purpose equipment that can be used every day and on every job. Little Beaver’s horizontal boring kit turns a traditional earth drill into an economical boring solution. 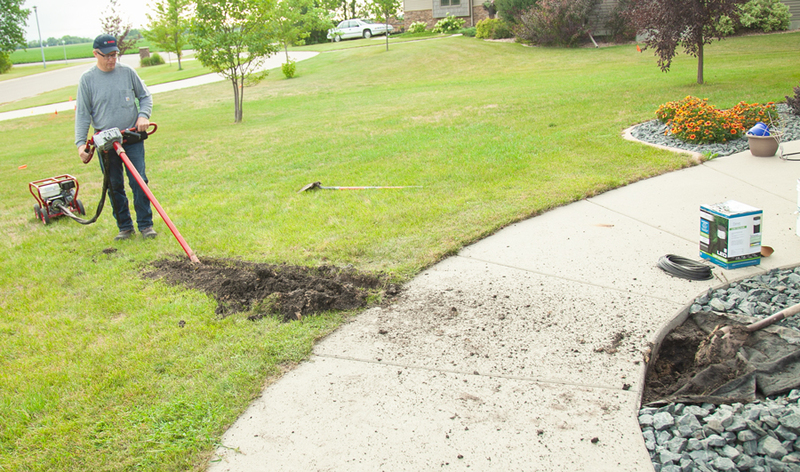 Though inherently more limited than a large dedicated boring machine, the Little Beaver Boring system easily completes the jobs landscapers and homeowners tackle. A Little Beaver earth drill fitted with the horizontal boring attachment is a perfect fit for the do-it-yourselfer. The drill and attachment are lightweight and safely operated by just one person. And because it’s a cost-effective alternative to renting larger boring machines, it’s an ideal solution for cost-conscious homeowners. Professional landscape contractors are often faced with small- to medium-size projects that do not require the industrial capacity of expensive and heavy directional drilling equipment. While moles are geared for this size of project, they are expensive to buy or rent, complicated to use, and typically require at least two people to operate. For more ways to improve landscaping efficiency, contact a Little Beaver expert.